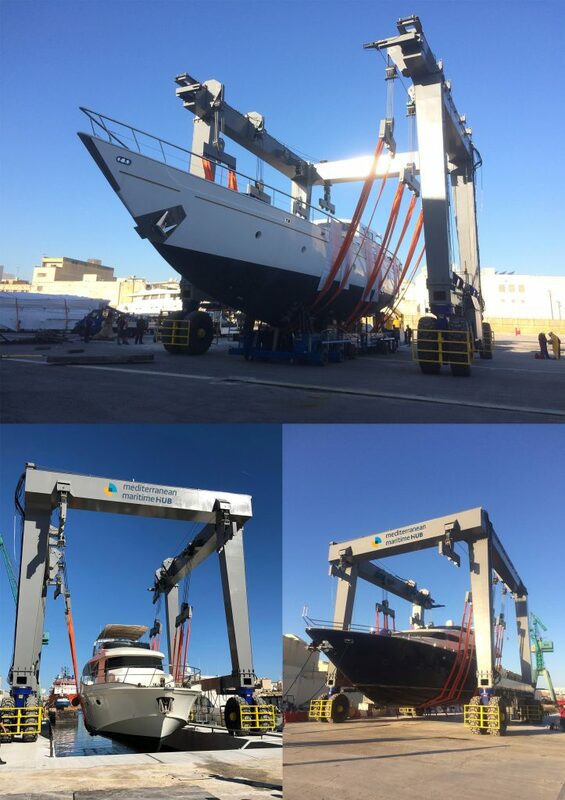 A 300 ton travel lift, which started operating this month, sets the stage for the next investment of another 700 ton travel lift, currently being assembled at the Mediterranean Maritime Hub. This investment required upgrading works on quayside infrastructure and purchase of specialised lifting equipment. Two 45m long piers were specifically designed to cater for two basins of 9m and 14m width, capable of accommodating wider commercial vessels such as tugs, supply vessels and super yachts. This investment falls in line with the developments being carried out at the Mediterranean Maritime Hub to provide better facilities for the maritime industry and improve support for the oil and gas industry. It also follows other investment that has already been carried out on site, such as the dredging of the seabed to a depth of 10.5 meters and upgrading of the underground services, yards and fabrication sheds.